Sombrero Beach | Florida Hikes! In the Florida Keys, large natural beaches are a rare sight. Most of the islands are surrounded by mangroves. The coral reefs that hold the Atlantic Ocean at bay also hold back the wave action that forms a beach, and the sand in this part of Florida comes from sources you would not expect. 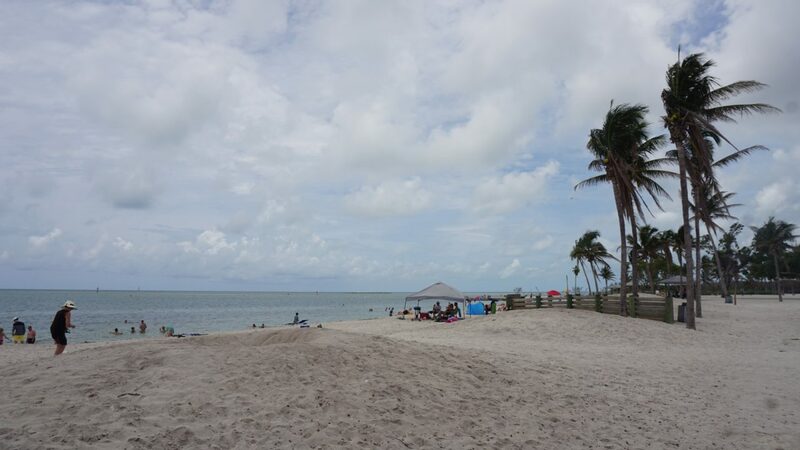 At the southern tip of Marathon, Sombrero Beach offers beachgoers a natural strand within sight of the Keys’ largest lighthouse. Leashed dogs are welcome. For health and safety reasons, always pick up after your pet. Please pay attention to marked-off areas where sea turtle nests are and do not let your pet disturb those areas. 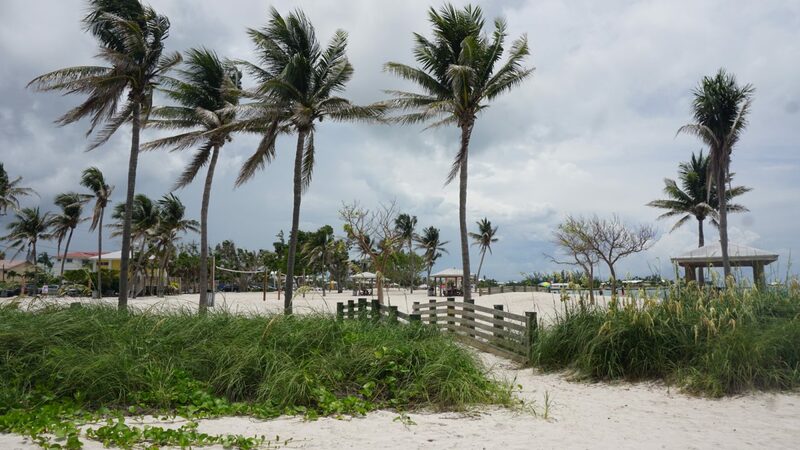 A small portion of the beach remains closed after Hurricane Irma, pending repairs of damage. Most of the beach and all of the parking area is open for use. Kayakers can drop off equipment at the circle at the end of the road but must otherwise park in the parking areas. From the traffic light on Marathon at MM 50 on US 1 at Crane Hammock Park, follow Sombrero Beach Rd for 1.9 miles until you reach the park. Parking is along the sides in marked spaces. A bike path starts at US 1 and parallels Sombrero Beach Road to this beach, so you can reach it by bicycle from anywhere in Marathon. 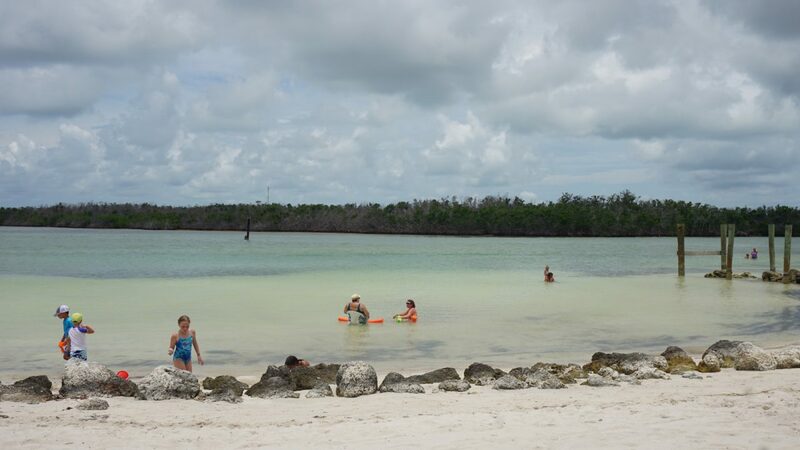 Outside of the sandy strands of Key West, Sombrero Beach is the most compelling beach to visit in the Florida Keys. As islands that developed atop the remains of coral reefs, with more protective reefs offshore leading to calmer shores, the Florida Keys aren’t known for their sandy beaches. Most beaches in the Keys are made up of silty marl, especially along Florida Bay, so they feel a bit sticky to the touch when you step on them. The sand at Sombrero Beach is a soft coral sand, naturally deposited by wave action. Weirdly, coral sands here and elsewhere throughout South Florida and the Caribbean must go through a transformation that has nothing to do with erosion. Instead, colorful native parrotfish nibble at algae on the coral reefs. Their sharp teeth scrape off a bit of coral with the algae, and it passes through the digestive tract. So, coral sand beaches are primarily made of parrotfish poop! We first learned this fun fact at Theater of the Sea. One parrotfish can produce more than 500 pounds of coral sand every year. With coconut palms swaying in the breeze and native plants growing on low dunes, this is a large and pleasant beach to spend time enjoying. Arrive early to be sure to get a parking spot. Picnic pavilions, outdoor showers, and restrooms mean you can make a day of it. Bring a bike and you can bike up to US 1 for lunch along the bike path and come back. 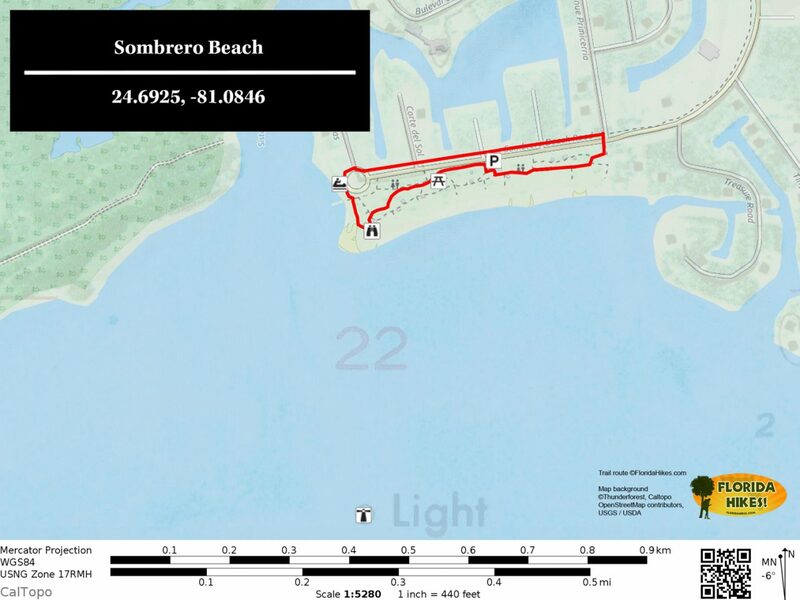 We’ve shown on the map below how you can walk a nice loop around the beach, taking in the shoreline, the view of Sombrero Light, built in 1858, off on Sombrero Key in the far distance at the point, and the shallows of Sister Creek where kayakers and paddleboarders tend to launch. Return along the bike path past the parking area to make a loop.